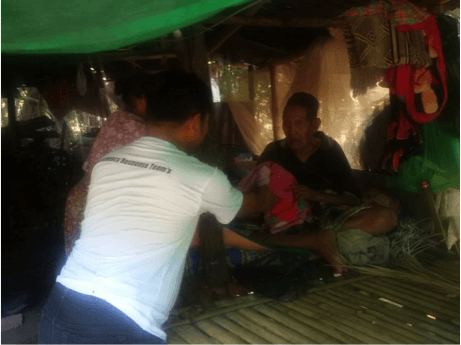 Mess hall had been prepared by WALHI NTB disaster quickrespond team in Jambi Anom, Medana Village, Tanjung sub-distric, North Lombok Distric, Nusa Tenggara Barat,. 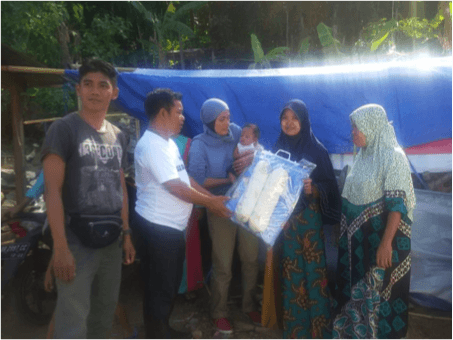 Walhi also distribute basic need to several village, Dopang Village, West Lombok sub distric, Mekarsari Village, Gunung Sari Village and several refugee temporary shelter. 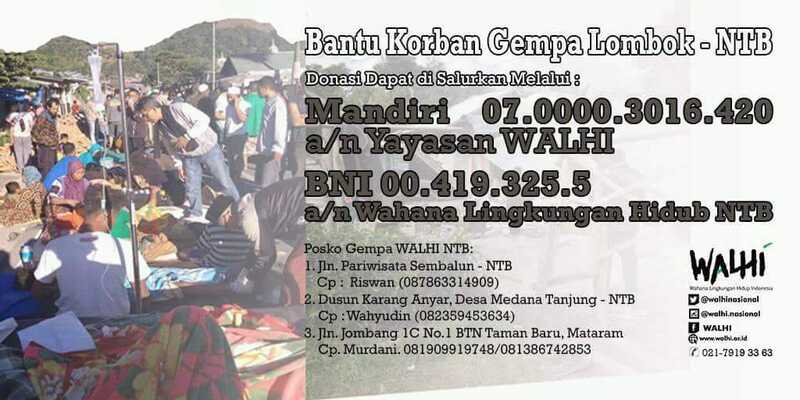 Several temporary post for disaster victem had been establish by several community, and government one of the establish by WALHI NTB Executive Director, open the post respond for earthquake disaster.